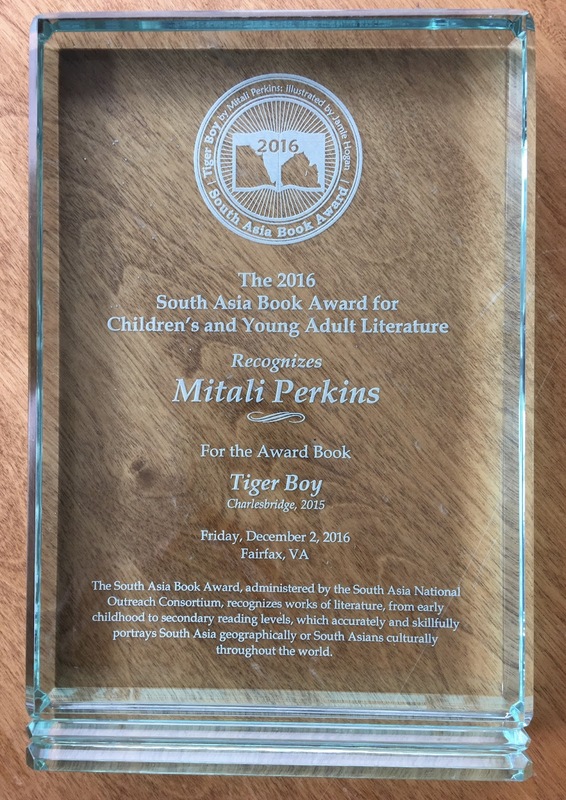 Just got back from a wonderful trip to D.C., where I accepted the 2016 South Asia Younger Readers Book Award for TIGER BOY. Here's my awkward (but grateful) speech. 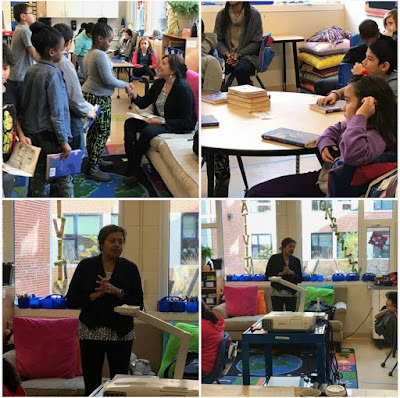 Gauri Manglik of KITAABWORLD handled book sales brilliantly. 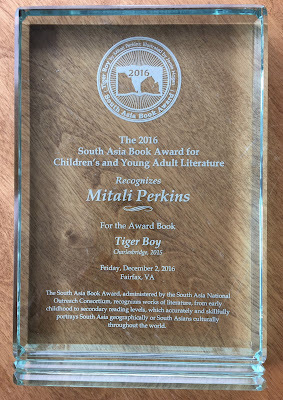 If you haven't checked out their marvelous site that provides an easy way to choose books about South Asia, you're missing out. 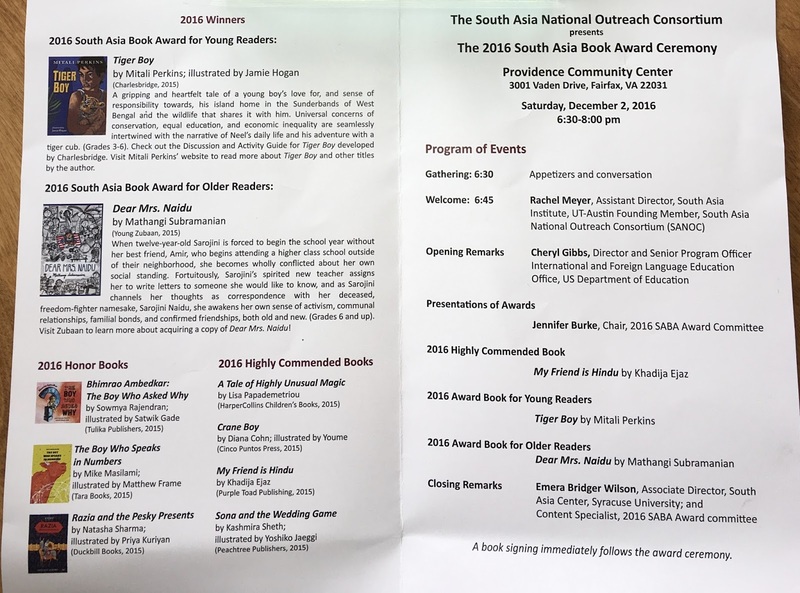 What a delight to meet Mathangi Subramaniam, winner of the South Asia Book Award for Older readers for Dear Mrs. Naidu. Watch for her adult novel coming soon. I can't wait. 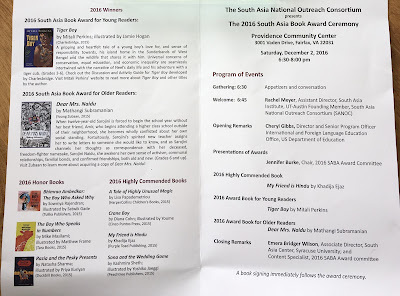 The Program of Events. Delicious chaat and chai, too. My beautiful glass engraved plaque. Author visit with fourth-graders at Capital City Public Charter School. 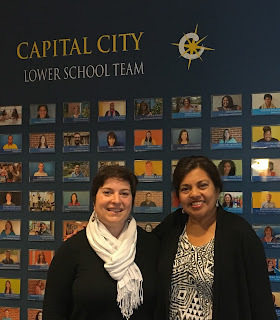 A thousand thanks to Rachel Weiss of the University of Wisconsin, who serves with passion and dedication as the Award Coordinator, and to the rest of the members of the Selection Committee.